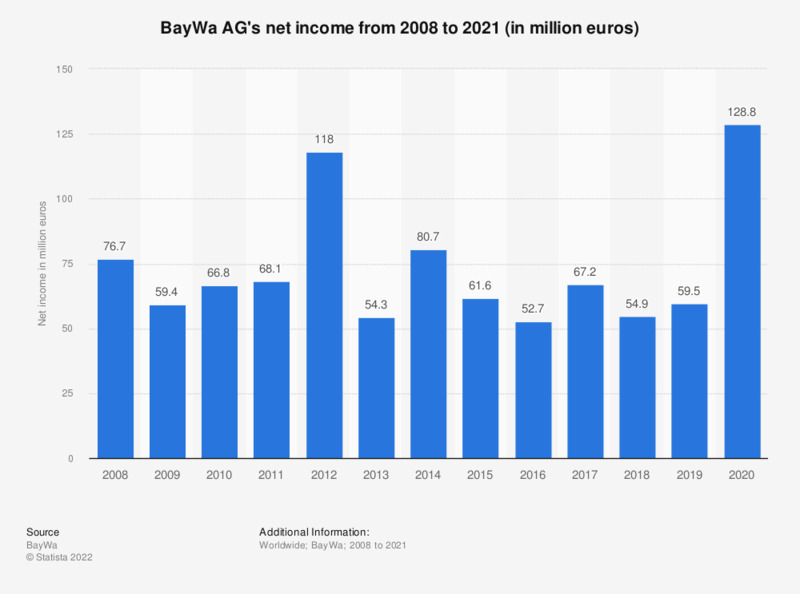 This statistic depicts the net income of BayWa AG from 2008 to 2018. According to the report, the company's net income amounted to approximately 118 million euros in 2012. Data prior to 2013 were taken from previous annual reports.